PennsylvAsia: Mid-Autumn Festival at Pitt with CASA and VSA, September 22. Mid-Autumn Festival at Pitt with CASA and VSA, September 22. The University of Pittsburgh's Chinese American Student Association and Vietnamese Student Association will host their annual Mid-Autumn Festival on September 22. CASA and VSA are proud to present to you our 2018 Mid-Autumn Festival! Mid-Autumn is a time of celebrating the moon and harvest! We encourage you to gather your family and friends to come out and have a good time! 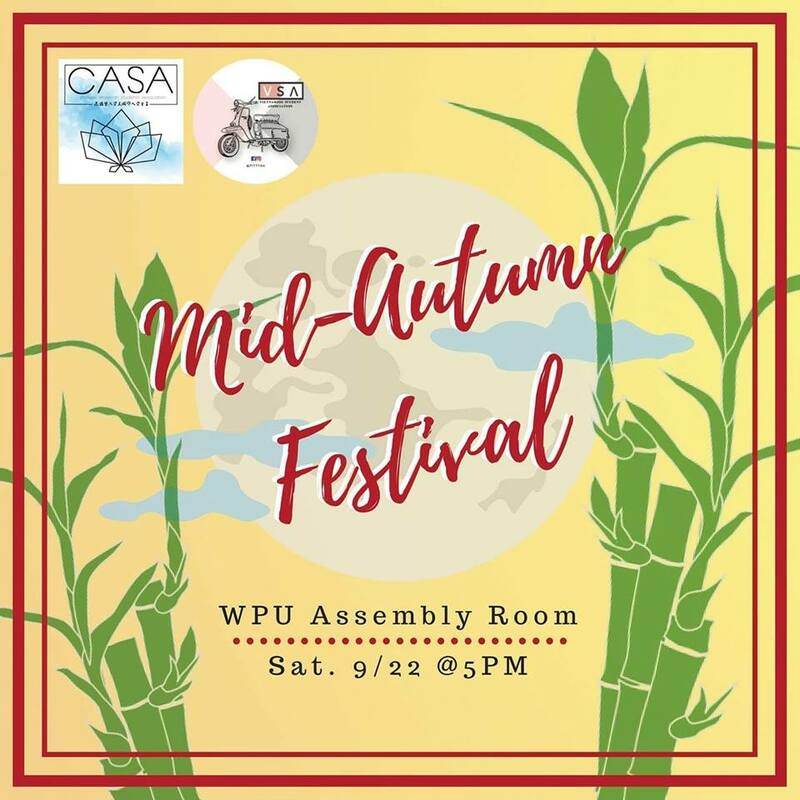 Come to the WPU Assembly Room for a fun evening of performances by FRESA, a skit done by CASA/VSA committees and cultural activities like calligraphy, Chinese yo-yo & paper folding! There will also be food catered by Golden Palace Buffet! It runs from 5:00 to 8:00 pm in the William Pitt Union's Assembly and Kurtzman Rooms (map), though you must arrive by 6:00 pm to get food.